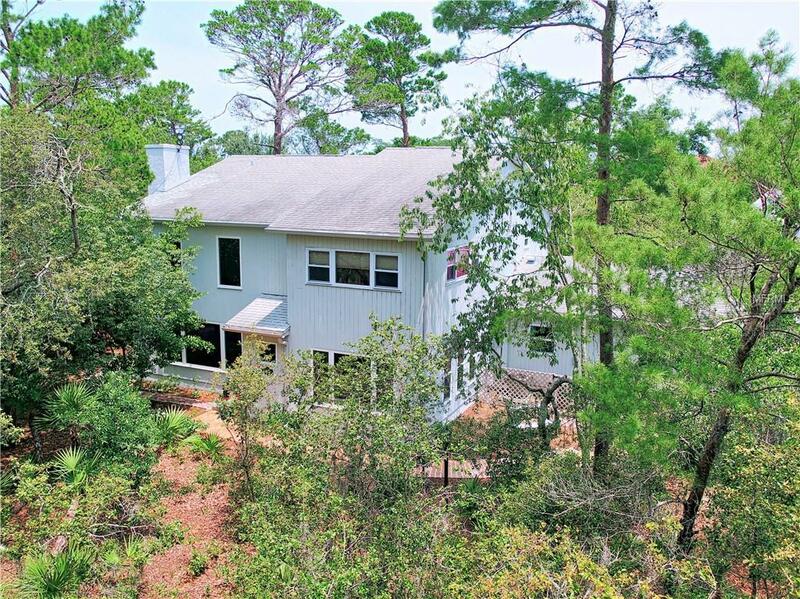 Price reduction - list price is $25,000 less than recent appraisal. Custom built energy efficient home plus detached 24x24 building nestled in a tranquil woodland - private yet close to everything. Enjoy wooded views from every window, classic handmade woodwork, spacious and inviting rooms, and a versatile floor plan. All of the three large bedrooms have en suites and generous closets. The kitchen is tastefully updated and big enough for friends to help prepare a meal, the gracious dining room will host large gatherings, and the living room with its soaring ceiling, window wall, and natural stone fireplace is the perfect setting for relaxing evenings. Designed to be ecology friendly and energy efficient with low monthly electric and utility costs. There is also a smart home security system. Then there is the workshop/studio - an attractive 24 x 24 structure just beyond the main house with electric service, natural light and a large floored attic. The building now serves as a wood-working shop, but its possible uses are many and it can be enlarged. Dunedin is a most desirable community and has been named in several national reviews as a best place to live. Award-winning beaches and trails, a lively downtown with restaurants, art galleries and shops, excellent medical services, rich cultural resources, and an easy commute to Tampa complete the package to make this property very special. Additional Lease Restrictions Zoning Allows For Bed And Breakfast Airbnb Vrbo Or Other Short Term Rentals. Pet Restrictions Pinellas County Laws Apply.